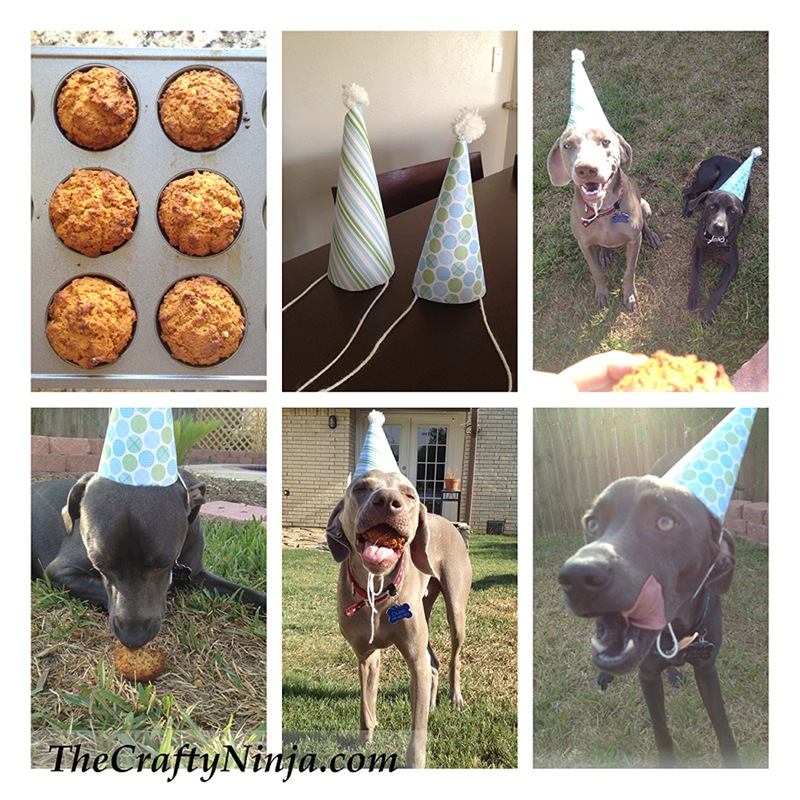 Today is my puppy Dexter’s very first birthday and to celebrate I threw him a birthday party with doggie cupcakes and party hats, tutorial here. 2. Mix together 1 cup white or whole wheat flour and 1 tsp baking soda. 3. 1/4 cup peanut butter 4. 1/4 cup vegetable oil, I used olive oil instead. 5. 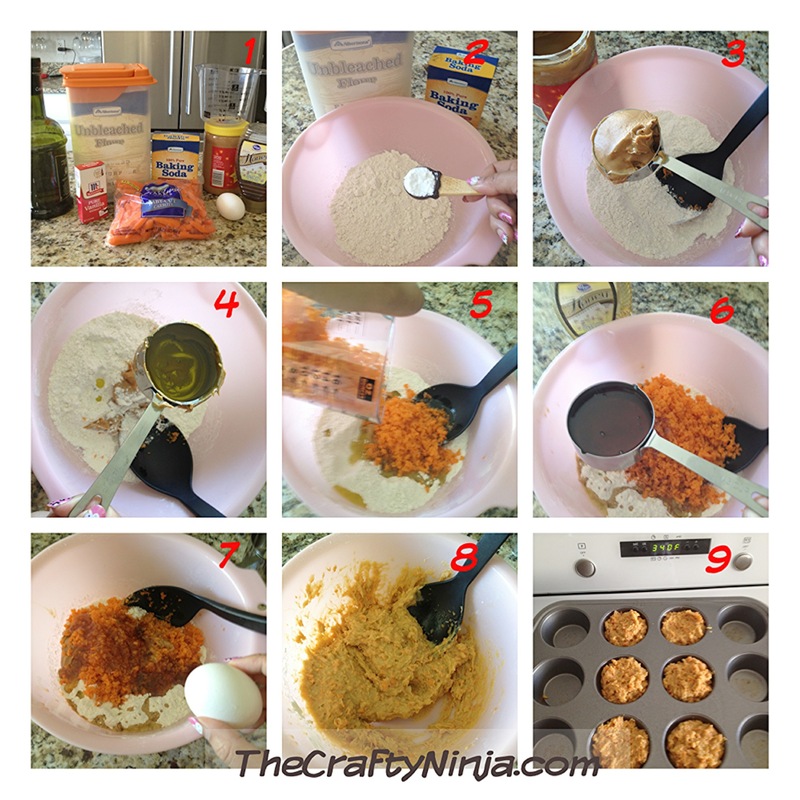 1 cup shredded carrots, I used a blender to shred. 6. 1/3 cup honey 7. 1 egg 8. Mix all together. 9. Spray non-stick on cupcake pan and scoop. Bake for 20 minutes. Cool down and let the feasting begin!